On the adjacent map, the location of Massachusetts is highlighted in red. The Commonwealth of Massachusetts is bounded by New Hampshire on the north, by Connecticut on the south, by the Atlantic Ocean on the east, and by New York on the west. It is bounded by Rhode Island on the southeast, and by Vermont on the northwest. Massachusetts is the 45th largest state in the United States, and its land area is 7,840 square miles (20,306 square kilometers). Massachusetts is subdivided into 14 counties. This Massachusetts map site features road maps, topographical maps, and relief maps of Massachusetts. The detailed, scrollable road map displays Massachusetts counties, cities, and towns as well as Interstate, U.S., and Massachusetts state highways. The pannable, scalable Massachusetts street map can be zoomed in to show local streets and detailed imagery. to view a scalable Massachusetts road map. The detailed Massachusetts map and the regional Massachusetts map display cities, roads, rivers, and lakes as well as terrain features. The detailed map shows only the Commonwealth of Massachusetts, while the regional map shows Massachusetts and the surrounding region. Massachusetts' capital city is Boston. Other major cities found on the Massachusetts map include Worcester, Springfield, Lowell, Cambridge, Brockton, New Bedford and Fall River. In 2005, the population of Massachusetts was estimated at 6,433,367, which is about 816.2 people per square mile. In 2010, Massachusetts' population rose to 6,547,629 people. Massachusetts is one of the most densely populated states in the USA. Interstate Highways in the Commonwealth of Massachusetts include I-90, I-91, I-93, I-95, and auxiliary route I-495. Massachusetts was named for the Massachusett Indian tribe who lived south of Boston in the Great Blue Hill region. The name Massachusett means "at the great hill". Eastern Massachusetts is a low-lying coastal plain, the Connecticut River flows southward through central Massachusetts, and the Berkshire Hills rise in the western part of the state. Other major rivers include the Housatonic, and Merrimack. Visitors come to see the historic sites in and around Boston, and to enjoy the Cape Cod shoreline. For Massachusetts travel and tourism information, visit the official Massachusetts tourism site and Massachusetts Atlas. This online Massachusetts reference map shows major cities, roads, railroads, and physical features in Massachusetts. 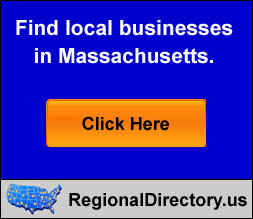 Several map publishing companies offer printed maps of Massachusetts. For example, Omni Resources offers several maps of Massachusetts that features points of interest, airports, and parks, as well as selected local attractions and insets of major Massachusetts cities. Massachusetts-Map.org Editor, State Maps, PO Box 775, Barnegat, NJ 08005.